These would not be easy interviews. 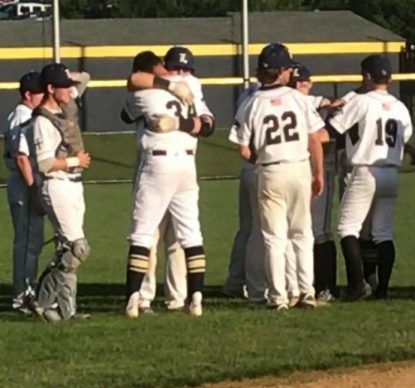 After losing a PIAA Class 6A state semifinal to District 1 champ Bensalem, 5-4, in eight innings on June 12, La Salle was forced to watch the Owls and their boisterous fans celebrate throughout the environs of Neumann University in Aston. A season that had included an outstanding record of 23-4, a Catholic League championship and a District 12 crown had come to a sudden end. Words weren’t easy to find, but the Explorers, despite visible disappointment, persevered. 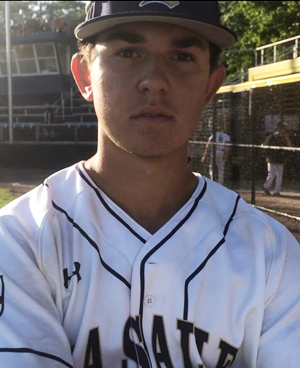 Although senior Anthony Cossetti (2-4, one run scored, one run batted in) and senior Shane Manieri (two RBI) supplied key contributions, Sortino was La Salle’s most potent offensive player with four hits and a run batted in. With La Salle trailing by 5-4 with a runner on first and one out in the bottom of the eighth, Sortino fought through an eight-pitch at bat before poking a single to right field to put runners at the corners. La Salle senior Joe Sortino had four hits and a run batted in in the 5-4 loss to Bensalem High June 12 in the PIAA Class 6A semifinal. Two batters later, the bases were loaded with two outs. Senior Andrew Cossetti, the Catholic League’s Offensive Player of the Year who had already been robbed of a run-scoring hit on a great play by Bensalem’s centerfielder a few feet from the fence two innings earlier, slammed the first pitch he saw to deep left field. A strong gust, however, joined hands as a best friend to the Bensalem left fielder, who tracked down the drive to end the game. The Explorers were hoping to take a long bus ride to Penn State and play for their third state title in seven seasons. “We just couldn’t open the game up enough,” said Werman. “We allowed them to hang around and they’re a tough team. I was proud of our at-bats and our approach. We just came up short.